Dementia itself is not a single disease. 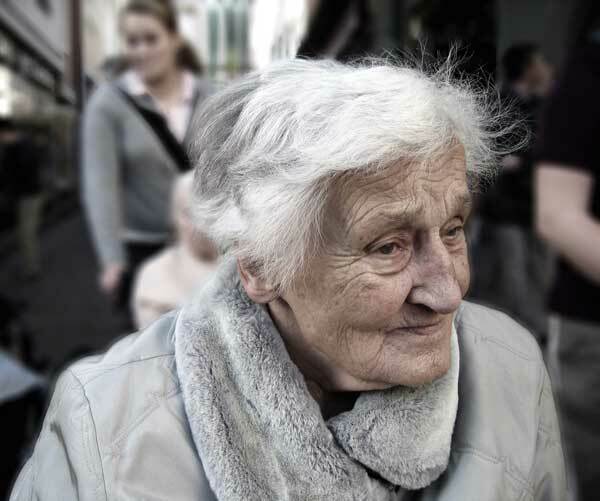 Dementia is a broad term that encompasses several types of progressive disorders. These disorders have a wide range of symptoms. Most people have heard of the most common form of dementia, Alzheimer’s disease, which affects approximately 5.5 million people in the United States alone. According to the Alzheimers Association, of the estimated 5.5 million Americans living with Alzheimer’s dementia in 2017, an estimated 5.3 million are age 65 and older, and approximately 200,000 individuals are under age 65 and have younger-onset Alzheimer’s. Conditions such as Alzheimer’s or Parkinson’s and related diseases typically are progressive biological brain disorders, which means they get worse over time. Years ago, almost all of those with dementia would end up in a long-term care facility as their symptoms got worse, but now there is range of support and medical services available to help people stay in their homes. While a long-term care facility option might still be the best option for many, for others, receiving dementia care at home may provide more significant benefits. This doesn’t have to mean that family members or friends need to be the only caregivers. A reputable and experienced home care program can help your loved one with dementia live at home, safely and comfortably. Because everyone’s health condition and care needs are different, this type of care may be different for each person. Some people will benefit from having a light housekeeping visit a few hours a week to help with keeping the house clean, and some may need help with shopping and meal preparation. Others may need an aide full-time to provide support for managing the seniors daily routine. Why Is Home Care For Seniors With Dementia Needed? People with dementia often have difficulty dealing with change. Helping them to remain at home, a familiar setting can prevent negative behaviours that may be triggered by change. People with dementia need help to remember to do basic self-care tasks, so it keeps them safe and healthy. A home care aide helps the person with bathing, toileting, and other hygiene needs. Home care aides provide respite services for family and friends, especially those who may serve as caregivers. People with dementia may need help outside the home, and an aide can help with additional support such as accompanying them to doctor’s appointments, recreational activities, groups. Help with medication reminders and make sure other medical needs get met. The decision to care for a loved one with dementia at home poses many challenges for families and caregivers. Having brain disorders makes it increasingly difficult for those affected to think, remember things they need to do, take care of themselves and communicate with others. Also, dementia can change a person’s personality, cause mood swings and change behaviours. Because these behaviours are new to many family members, they may not be prepared psychologically and physically to help their loved one. Early stages of dementia require help with medication management, organization, money management, keeping appointments, and developing coping strategies to maintain independence. During this stage, it is crucial to make care plans for the future as the stages progress. Middle- stages of dementia typically last 2-10 years, and more care is generally needed than one in the early-stage of the disease. Memory is significantly affected, and the individual may not recognize familiar faces, or he or she may become lost in an area in which they know. It is vital that an individual with dementia in this stage follow a structured schedule, which can aid in reducing feelings of anxiety and stress commonly associated with dementia. Mood and behaviour at this stage can also be erratic. There may be occasional aggression or uninhibitedness because one’s ability to reason is not at a healthy level. Also, people often have difficulty with coordination and physical movements. At this stage, dementia patients may need reminders, such as what is the appropriate clothing to wear, or may require assistance with activities of daily living, such as feeding and dressing. 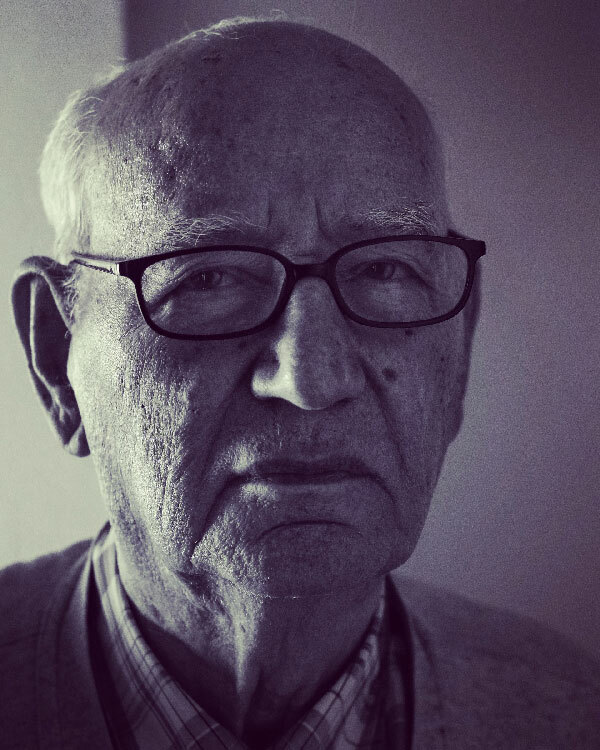 Late-stage of dementia typically lasts 1 – 3 or more years. For this stage, people will require intensive 24-hour-a-day care. This stage is characterized by people usually showing extreme confusion, both in present circumstances as well as past events. The ability to process information becomes impaired, and the individual will have a very difficult time communicating verbally if they can do so at all. Behavior and mood are usually extraordinarily unpredictable, and they may even experience hallucinations. Commonly, an individual in this stage will need to move to a facility, such as a Memory Care Unit to receive the extensive care that they need. Unlike some Home Health Care Services, our staff understand these diseases, their progression, as well as how to handle the erratic behaviour and moods. Our team also knows why it is important and how to help maintain low-stress levels for the affected individual, instead of unintentionally escalating the stress level which some untrained caregivers may do. Our At Home Care staff cater to the specific needs of individuals with dementia. They work with each to learn about and incorporate fun activities which are meant to stimulate the memory. Also, they assist with activities of daily living, such as dressing, shopping, preparing meals, room modifications, medication reminders as well as helping to provide the family with support and respite. We understand that it is difficult to know when to seek outside help. Where to find quality care can be challenging, as it’s essential to see a home caregiver who’s experienced and qualified to handle the various and ever-changing challenges of people living with dementia. If you or your loved ones would like to speak with our At Home Health Care For Dementia Administrator who has experience in helping people through this challenging time manage Dementia such as Alzheimers or Parkinsons- then feel free to call us at 800-296-9962 for a free in-home consultation. Live In Care: When Is It Recommended? Live In care, involves just one caregiver providing care the client in a 24 hour time frame. Typically, the caregiver is scheduled for a maximum of four or five days per week. For the remainder of the days of the week, a different caregiver is obtained. In the 24 hour period, it is customary for a 4 hour break to be given to the caregiver. One must decide if they would like to provide additional home healthcare coverage for these 4 hours. The caregiver for the live-in shift is provided with an 8 hour sleeping break, and a bed must be provided for the caregiver. Billing for live-in caregivers is done at a flat rate per day. Coverage for the 4 hour break, if needed, is paid for, using an hourly rate. The first advantage, as mentioned previously, is that Live-in caregiver rates are half the cost of 24 hour care. Another big advantage of having live-in care- is that the number of caregivers is reduced. Ideally, two caregivers are scheduled for the whole week. This provides the client with consistency of care and gives the senior, disabled, or post hospitalized person an opportunity to get to know, and build a relationship with their caregivers. One disadvantage of using live-in care is that there is a 4 hour break given to the daytime caregiver. You have to decide if care during this period is needed. And if so, who provides this care; the family, or another caregiver? This 4 hour time frame, if care is provided, will be an additional hourly cost, on top of the 24 hour flat live-in rate, also being billed. Also, because the caregiver is given a mandatory sleeping break- the client will not have any direct care or supervision during this 8 hour time frame. How Do You Decide Which Type Of Care Is Better? In order to decide which type of care is needed we suggest you have an In Home Assessment so that together we can determine the best type of care for you or your loved one. We also recommend getting the input of your medical care team so that you can make an informed decision that takes into account your medical, emotional, and financial considerations. We’d love to help if you need our assistance. Feel free to call us at (800) 296-9962. To learn more about 24 Hour Care-see our article entitled: 24 Hour Care: When Is It Recommended? Alzheimer’s disease is a progressive, irreversible, disorder of the brain that slowly destroys thinking and memory skills, and eventually the ability to carry out simple tasks. Among older adults, Alzheimer’s disease is the most common cause of dementia. The disease was named after Dr. Alois Alzheimer, who, in 1906, noticed changes in the brain tissue of a woman who had died of an unusual mental illness. Her symptoms included language problems, memory loss, and unpredictable behavior. Dr Alzheimer examined her brain after she died and found many abnormal clumps (now called amyloid plaques) and tangled bundles of fibers (now called neurofibrillary, or tau, tangles). These plaques and tangles in the brain are still considered some of the main elements of Alzheimer’s disease. Another element is the loss of connections between nerve cells (neurons) in the brain. Neurons transmit messages between different parts of the brain, and from the brain to muscles and organs in the body. Although treatment can help manage symptoms in certain people, there is no cure for this debilitating disease. How Does Alzheimer’s Affect the Brain? We know that Alzheimer’s disease is an illness that changes people’s brain. It causes people to lose the ability to think, remember, and use good judgment. Those with Alzheimer’s disease may have trouble taking care of themselves. As the disease progresses over time, we know more help will likely be needed. For caregivers, we know that taking care of a person with Alzheimer’s disease can make you feel good because you are providing love and comfort, however, other times, it can feel stressful and overwhelming. Oftentimes, caregivers do not even realize how much they have taken on because many of the changes can happen slowly over a long period of time. What Are the Behaviors Of People With Alzheimer’s Disease? Alzheimer’s disease and other dementias can cause people to act in different and unpredictable ways. Some individuals become anxious or aggressive. Others repeat certain questions or gestures. Many misinterpret what they hear. These types of reactions can lead to misunderstanding, frustration and tension, particularly between the person with dementia and the caregiver. It is important to understand that the person with Alzheimer’s Disease is not trying to be difficult and that all behavior is an attempt at communication. The Alzheimer’s Association® offers some helpful suggestions for responding to dementia related behaviors. The following three-step approach can help you identify common dementia-related behaviors and their causes. What was the behavior? Was it harmful? › Did something trigger it? › What happened immediately after? › Could something be causing the person pain? › Could this be related to medications or illness? Consult a physician to be sure. Are the person’s needs being met? › Can adapting the surroundings comfort the person? How can you change your reaction or approach? Did your new response help? Do you need to explore other potential causes and solutions? If so, what can you do differently? Why Does My Loved One Do These Negative Behaviors And How Can I Help? Although it can be frustrating to deal with a loved one with these behaviors- it can be helpful if you try and understand that the purpose of this new behavior is related to their Alzheimers. You shouldn’t take it personally, or think the person is doing the behavior intentionally. Negative behavior may be related to: Physical pain or discomfort, illness, medication, hunger or thirst. Overstimulation from loud noises or a busy environment. Unfamiliar surroundings such as new places, or the inability to recognize home. Complicated tasks, such as difficulty with activities or chores. Frustrating interactions, such as an inability to communicate effectively which may cause fear, anxiety or sadness. Once you understand what the person is trying to communicate- you can try and provide them with what they need, and this typically helps stop or lessen the behavior. We at Unique Home Care services understand that caring for someone with Alzheimer’s alone is difficult without help because we have helped may people in similar situations. We offer live in and per diem private care staff to help you in whatever way works for you and your family. Call us for a free in home consultation at (800) 296-9962.